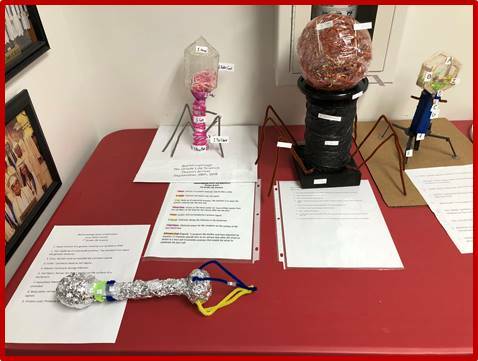 Mrs. Kratz’s 7th grade Life Science class makes a model of a Bacteriophage as a culmination of the study of cells, viruses, and bacteria. Research is done prior to the model. A bacteriophage is a virus that attacks a bacteria with Emergency Home Solutions . In some cases, it can be used in place of antibiotics. It can be both helpful and harmful. To view pictures of more projects, please click here.